Erroline is a professional certified coach and leadership consultant. 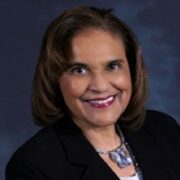 She coaches executives and managers, emerging leaders, college students, and women in career transition. She helps her clients to grow and expand their possibilities and takes a transformational approach to coaching. She will listen, challenge, and affirm her clients throughout their coaching journey to greatness to become their best selves. After a 25-year career in the corporate environment, and most recently within administration in higher education institutions, Erroline has a range of experience developing and engaging teams and individuals. Erroline has an ACC from the International Coaching Federation and holds a doctorate in higher education administration from the University of Pittsburgh. As a certified C-IQ (Conversational Intelligence®) Core Skills Practitioner, she utilizes the skills to help leaders to identify their conversation styles.